Digital Learning Day is coming up next week, and I'm excited to share 5 digital tools that I use as a school leader. I'm by no means an expert, but I'm very passionate about using technology and about being a connected educator. Feel free to share your ideas & digital tools in the comments! Twitter has been the biggest game-changer for me and my journey as a school leader. Connecting to other school leaders, sharing stories, encouraging each other, and getting ideas as well as advice - all via twitter - is very helpful in professional learning. The people who are on twitter WANT to be there, so the atmosphere is extremely positive and encouraging. (I have heard stories of rare negative experiences or interactions with negative people, but those are very few and far between.) Don't use twitter with your students! 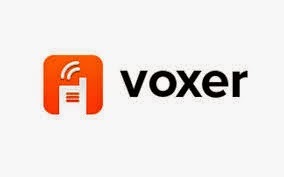 Voxer is another tool like twitter that contributes to my professional learning. It is an easy way to connect with others by the ability to leave "voice messages" for someone, but more than that you can join a "group chat" where members leave voice messages that can be heard by everyone in the group. (You can also text or drop pictures in the group.) Brad Currie inspired me, and the #satchat Voxer was my first group chat I belonged to. (My New Talk Radio - Voxer). Since then, I have joined other groups and started 2 myself. One is for Women in Education Leadership, and the other is for a book study group (we're reading The Differentiated Classroom by Carol Ann Tomlinson.) Being able to hear a person's voice adds another layer of personalization to the conversation. Yet another way to connect, Google Hangouts (GHOs) are awesome because they can be used for video calls, but they can also be recorded, saved on YouTube, and played by anyone with a link. --Last summer, during our district PD days, I was the co-leader for one of the sessions, which was on standards-based grading. For the session, via a Google Hangout, I was able to bring Andrew Maxey and Garnet Hillman "to the table" for the conversation. 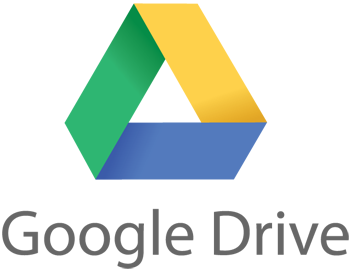 I love the motto for Google Drive: "Keep everything. Share anything." Google Docs makes it easy to collaborate. It saves me from those "Reply to All" emails when collaborating with a group. It allows me to work on a document at work and at home. I can share Google Presentations with a link (like this one called Dealing with Distractibility in a 1:1 Classroom). Google Forms allows me to collect information easily, like feedback from our students about their virtual classes we are piloting this year. I know there's a lot more that I have to learn about Google Drive, but it has been a huge help for my needs so far. These are the top 5 digital tools I use (others include Zite, Picstitch, Notability, Blogger, Vine, and Storify.) I would love to hear if you use any of these or if you have others you use regularly. Comments are always welcomed and appreciated! Thanks for reading and commenting, Jon. Voxer has added another dimension to my connecting & collaborating. I'm @jennifer_hogan on Voxer (just like Twitter). Feel free to send me Vox!